The original SXM Strong logo. 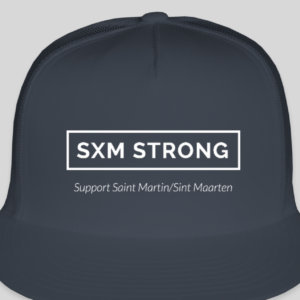 This is the perfect way to show your love and pride for the island of Saint Martin. This is a dark navy Yupoong classic trucker hat with white front and dark navy SXM Strong logo. A snapback trucker style hat that is durable and stylish. 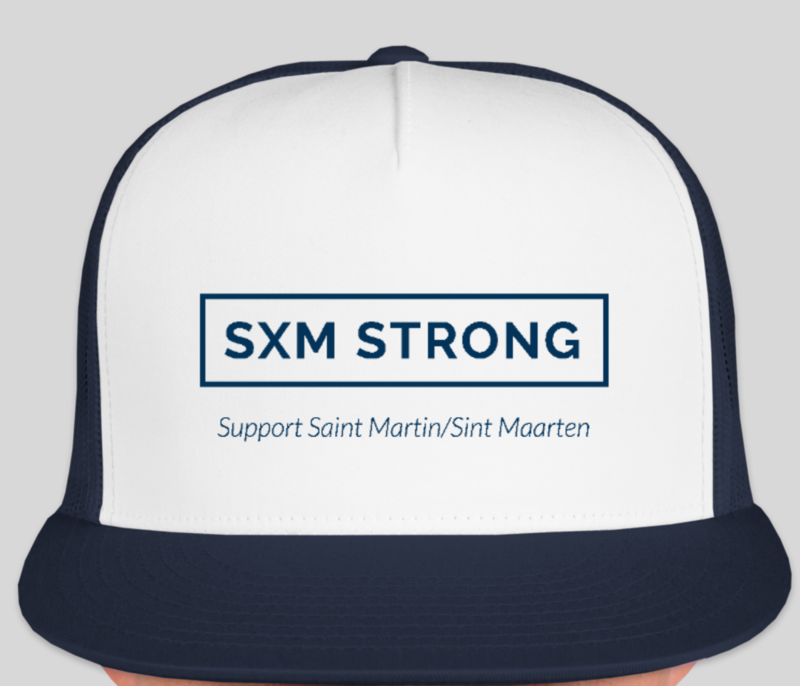 Show your support for Saint Martin/Sint Maarten with this awesome SXM Strong trucker hat. This is the original SXM Strong logo created following hurricane Irma. A portion of all proceeds raised go directly to support the community of Saint Martin/Sint Maarten.